This is a real gem of a hike. Nahal Og is less than a half hour from Jerusalem in the Judean desert. It’s picturesque in a rugged, desert kind of way so it’s a good opportunity for taking photographs of the scenery and of course your family/group. You might find that parts of the hike are challenging but this is a hike that is doable by parents and kids. There are three places where metal rungs have been hammered into the rock to give you hand and foot holds to help you traverse the steep rock faces. In the winter months there will be parts of the trail that have filled with water that you will have to cross. The trail is a loop so you end back where you parked your car and in fact, you can do the trail in either direction, depending on whether you want to ascend or descend the rungs. Most people find that climbing up the rungs is easier than going down. The hike itself should take you about two hours. To fill out your day combine the hike with one of the many other attractions in the area, the mosaics at the Inn of the Good Samaritan, St George’s monastery in Wadi Qelt, the archaeological site at Qumran, a float in the Dead Sea. 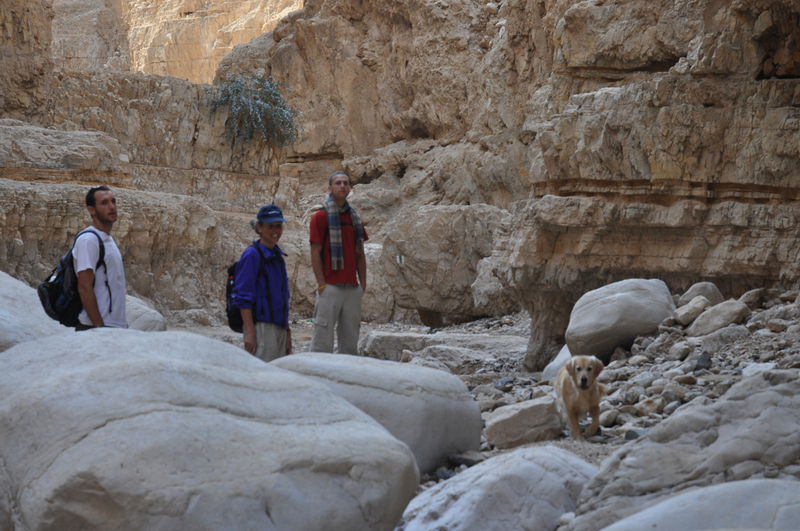 This entry was posted in Desert, Family, Hiking, Jerusalem, Nature, Photography, Water and tagged family hike, hike, Judean desert, pools, postaweek2011, trail on November 28, 2011 by Shmuel Browns. Shmuel, Actually I felt nostalgic looking at these pictures. Because, I am a son of peasant/cow keeper. My father used to take cows into the jungles and I used to follow him when I was a small child. And, on the way, I had go through same like these rocky type of hills and jungle trails (in Nepal). Wahoooo. Just wahoooooo…….